Are you looking for a fun way to get your daughter into sewing for the first time? Would you love to have a sewing machine that has a full set of features, but is sized just right for the little ones? The Janome Hello Kitty sewing machine is a ¾ size unit, but don’t let the size fool you! It has the full power of any sewing machine and is designed with young girls in mind. If you are limited on space, however, and want a good sewing machine, this Janome will fit the bill as well. Best of all, you can save almost $100 off of the price of this machine right now just by shopping on Amazon! What Key Features Does This Machine Provide? When looking at the Janome Hello Kitty sewing machine, we loved how there were 11 stitches programmed into it. There’s also a four-step buttonhole and when combined, it allows anyone who has never done any sewing before to get a feel for what is needed. 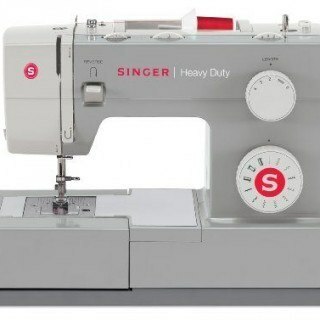 Even though it is a ¾ size machine, it still has a heavy duty sewing capability and that makes it perfect for the dorm or the studio flat as well. Would you like to be sewing pretty with Hello Kitty? it works with all general sewing needles in case you end up having the needle which comes with this machine break. At this price point and with these features, this Hello Kitty sewing machine by Janome provides a big punch of value. It’s strong enough to help a professional get a job done, yet easy enough to use that anyone can learn to sew on this machine. Is There an Advantage To Using This Janome Sewing Machine? If you’re looking for the best sewing machine possible for those regular household chores, then this is the machine that can do it. It can sew through denim without much problem and can easily be used for mending needs. Curtains, dresses, and even purses are all a possibility with this strong, durable machine. There are a couple limitations with the Hello Kitty sewing machine which should be noted as well. There is no speed control incorporated with the design, so you’re either sewing or you’re not sewing. There’s also no finger guard on the presser foot and although the design stops curious fingers from getting trapped for the most part, it could still be possible. 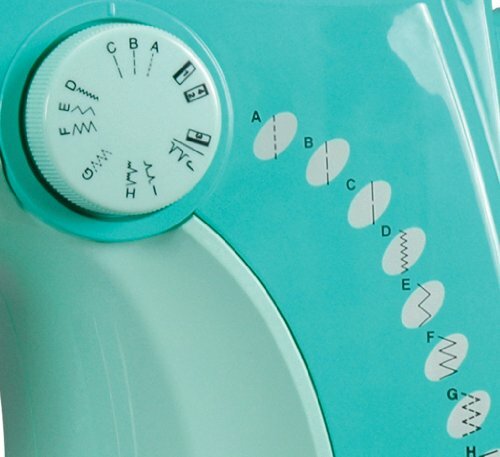 With the right bobbins and needles, this ¾ machine will give you a full sewing experience! 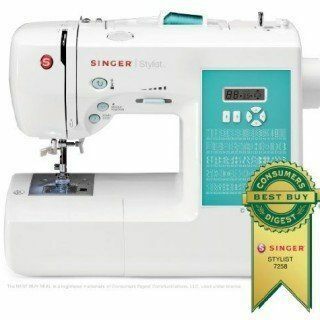 Perfect for the beginner and just right for those who know their way around a sewing machine, this lightweight beauty would make a high quality addition to any home. That’s why it receives one of our strongest recommendations today as the best sewing machine available. Click here to look at pricing on Amazon and buy theJanome Hello Kitty ¾ Sewing Machine.